Kajal Aggarwal is a popular actress and model in India who is best known for her work in south Indian language movies. She is recognized for her roles in films like Magadheera, Baadshah, Govindudu Andarivadele, Temper, Khaidi No. 150, Thuppakki, ,Vivegam and Mersal. Kajal was born in a Punjabi family on June 19, 1985, in Mumbai, Maharashtra, India. She is currently 33 years old. 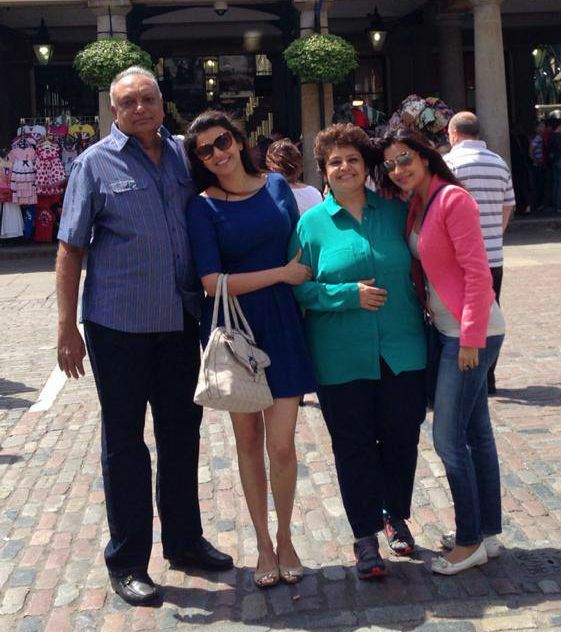 Kajal is the oldest child of parents Suman and Vinay Aggarwal. Her father is a businessman while her mother is a confectioner, and also Kajal’s business manager. She has a younger sister named Nisha, who is also an actress. She attended St. Anne’s High School in Mumbai and then studied at Jai Hind College for pre-university education. She graduated from Kishinchand Chellaram College in Mass Media with specialization in Marketing and Advertising. The Mersal actress is presumed to be single. She was linked up with actor Prabhas Raju Uppalapati when they worked together in the 2010 Telugu film, Darling. Kajal Aggarwal landed her first acting role in 2004, playing a cameo in the Hindi romantic film Kyun! Ho Gaya Na… which had Aishwarya Rai as the lead lady. Her first lead role as an actress came in the year 2007 with the Telugu film, Lakshmi Kalyanam, which was directed by Teja. In 2008, she made her debut in Tamil as Deepti in Perarasu’s Pazhani. As a actress, Kajal has appeared in a number of television special programs during festivities but hasn’t yet acted in serials or reality shows. Kajal Aggarwal got her first breakthrough in 2009 with S. S. Rajamouli’s historical fiction Telugu film, Magadheera, for her role as Mithravindha Devi/Indira. The film was a commercially successful venture which grossed around ₹1.5 billion against the production budget of ₹350 million as well as earned a lot of accolades. Kajal is the face of several brands and products such as Bru Coffee, Lux (Soap), Sri Lakshmi Jewellery (in Puducherry), AVR Jewellery store (in Salem, Tamil Nadu), Samsung Mobile, Panasonic India, CCL (Celebrity Cricket League), Dabur Amla Nelli Hair Oil among others. She is one of the reputed and highest paid actresses in the entertainment industry. Kajal is also the most sought after actress in the business. The ravishing beauty has an estimated net worth of $4 million dollars. Just like other celebrities in the creative circuit, she earns money from movies and brand endorsements. Kajal own her own jewelry line called Marsala which is popular among Indian women. Kajal owns several real estate properties across the country, particularly in Mumbai, Chennai, and Hyderabad. She owns a luxury flat in the post area of Mumbai and is valued over Rs 3 crore. She also owns lavish houses in Chennai and Hyderabad. The budding actress owns a black BMW 5 series which is priced around Rs 60 lakh. Kajal aspired to become an actress at a young age, and, in fact, she wished to study MBA but owing to her acting career, she dropped it. Blessed with great heights, slim physique, and attractive appeal, Kajal Aggarwal entered into modeling during her college years. The charismatic actress was featured in numerous modeling gigs as well as appeared in several television commercials. She received positive acclaim from critics for her stunning performance in SS Rajamouli’s Magadheera, a role that earned her first Filmfare Award for Best Actress. She has been a part of several blockbuster films in South Indian languages like Telugu and Tamil. In 2016, she was named as the Fashion Icon of the year & Most Popular Female celebrity on Social Media and also won the Femina Power List South 2016 at Edison Awards.